Now in its 33rd year, with over thirty pavilions in ten locations across the City, Carassauga displays our diverse and rich cultural heritage and is a perfect example of how inclusive, accepting and safe our city is. The same day Carassauga kicked-off, our community was reeling from an explosion at a local restaurant that injured fifteen people. Many residents I spoke to at the festival were shaken and unsure what this incident meant for our community. I reassured them that Mississauga remains one of the safest communities in Canada and last week’s incident only strengthens our community’s resolve. Police strongly believe that last week’s explosion was an isolated, targeted incident. However, we must continue to remain vigilant and anyone with information is asked to call police. We are one of the most diverse, caring and inclusive communities in the world. 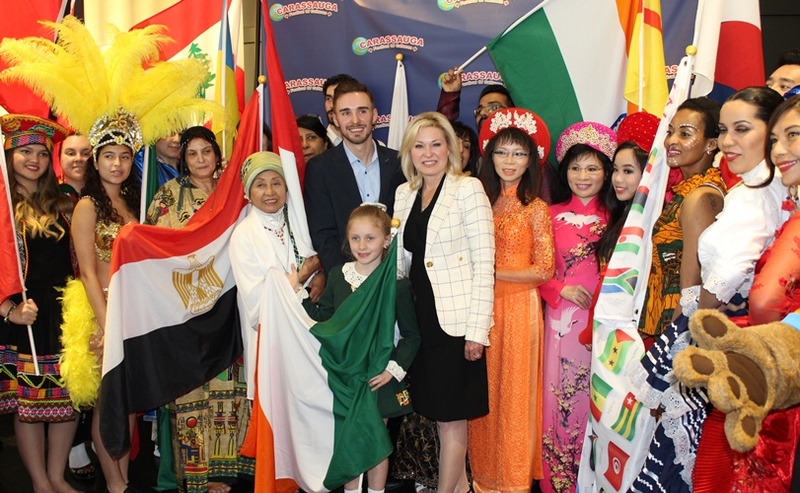 Residents from over 200 countries around the world have chosen to call Mississauga home. Diversity, equity and inclusion are at the core of our City’s identity, and festivals like Carassauga only further demonstrate our City’s rich heritage, culture and our strong sense of community. Now more than ever, our community must come together, hand in hand, stronger than ever, determined not to let this tragic incident drive a wedge in our community. My thoughts remain with the fifteen victims who are now at home recovering. I have full confidence that the Peel Regional Police will swiftly apprehend the suspects. If you have any information, I encourage you to contact Peel Police investigators at 12 Division Criminal Investigation Bureau at 905- 453-2121, ext. 1233. This is not the Mississauga I know, and as Mayor, I refuse to let it change who we are as a City. Every day, I encourage residents to celebrate and embrace who we are as a City. The Mississauga I know is represented by Carassauga and our many other cultural and artistic festivals and events. We are strong, we are dynamic, we are safe and we are resilient.